Yesterday’s trip to the museum was incredible. To be honest, I was a bit skeptical. Last time I took a group of Pre-Kindergarten students for a tour of art, the trip turned out to be terribly developmentally inappropriate. (Interpret this as Long and Boring.) Obviously, I didn’t have the right guide! Mrs. Allan led us through the 2013 Carnegie International exhibit and provided each child with a sketch journal. Each room we visited held visually stimulating pieces that drew the children in immediately. Most of our tour focused on the shapes and lines of things. In one area the children attempted their first contour drawings, following the lines of the pieces in front of them. In another the children searched for shapes within the sculptures and drew their favorite pieces. 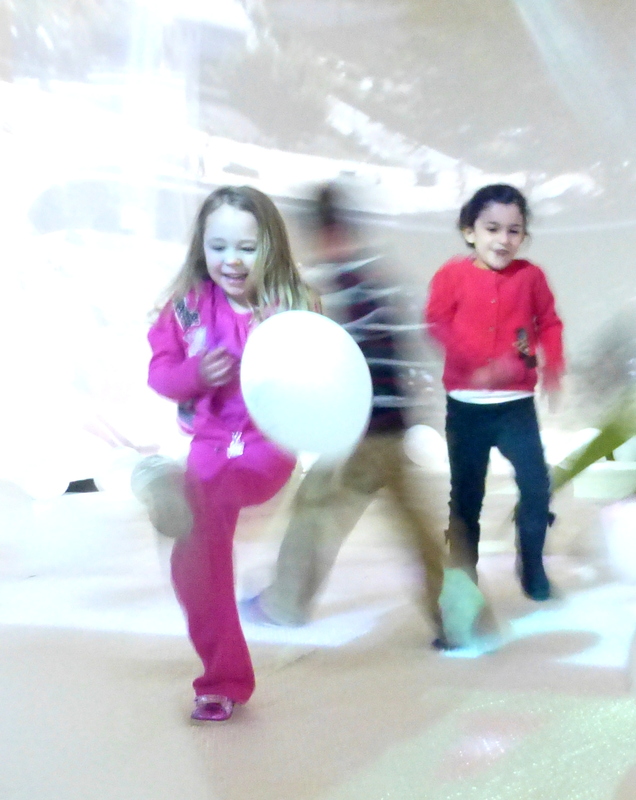 The “Balloon Playground” in the DIY Playground exhibit was wildly popular. The final piece we visited, the Wrecking Ball, imparted the most lasting memories. When asked today, most of the children claimed it was their favorite part of the show.